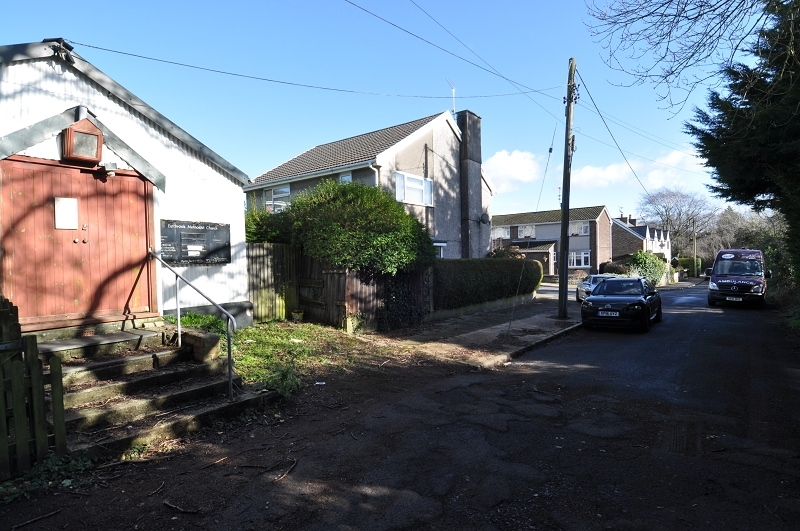 **FOR SALE BY WAY OF BEST BIDS DATED FRIDAY 9 MARCH 2018** Former church premises at Chapel Row, Dinas Powys, Vale of Glamorgan. Potentially suitable for residential re-development, subject to planning. The Trustees of the Methodist Church of Great Britain to dispose of the Eastbrook Methodist Church. 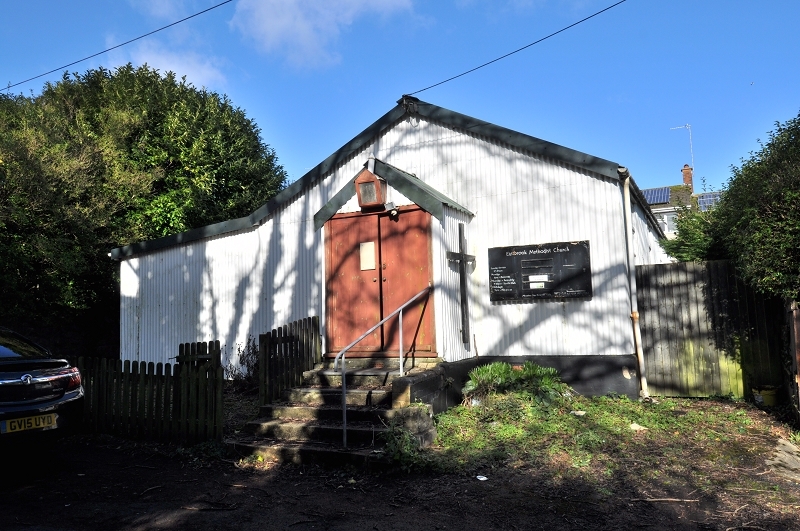 The property, located at Chapel Row, Dinas Powys CF64 4LE has become surplus to the Church's requirements. 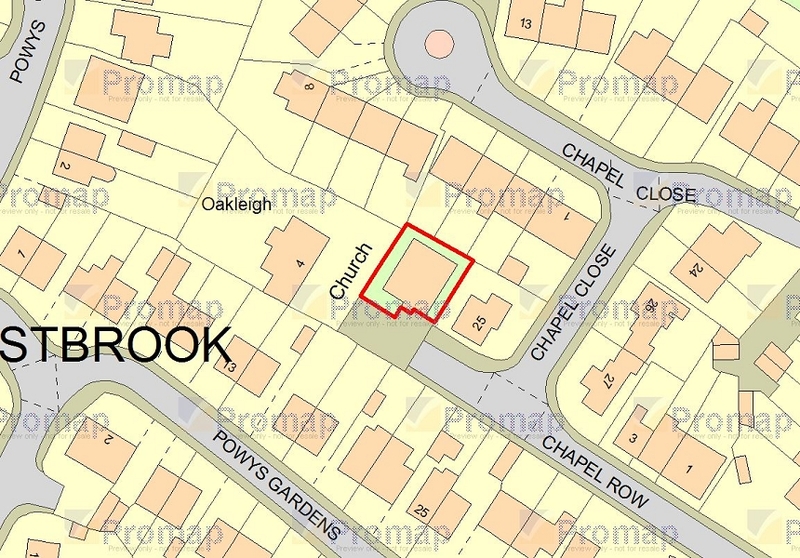 The plot has an approximate frontage of 13.6m and a depth of 17.5m. The total area is therefore approximately 238 sq m (0.05 acres or thereabouts). 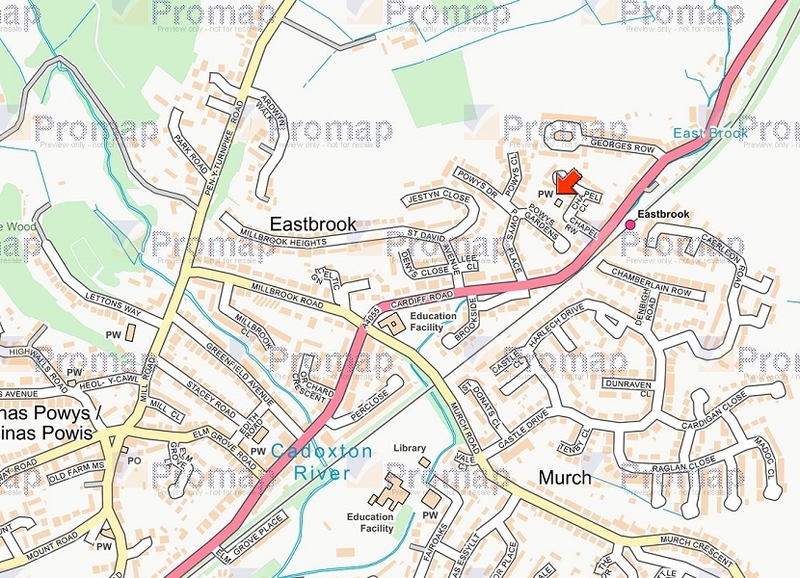 The site can be found outlined in red on the attached ordnance survey extract. 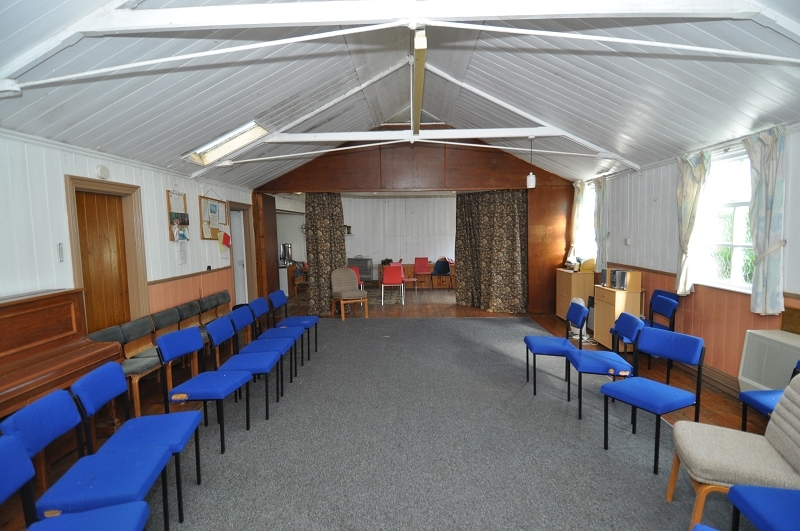 The building comprises a detached single storey church building which was first registered in 1887 as a church. The building has a pitched roof, with timber roof trusses, overlaid with corrugated asbestos profile steel cladding with profiled clad walls and timber framed windows. There is a small front fenced garden area and concrete steps rising to the single storey porch. Internally, the main body of the building is laid out as a meeting hall with side windows and tongue and grooved panelled walls, suspended timber floor. 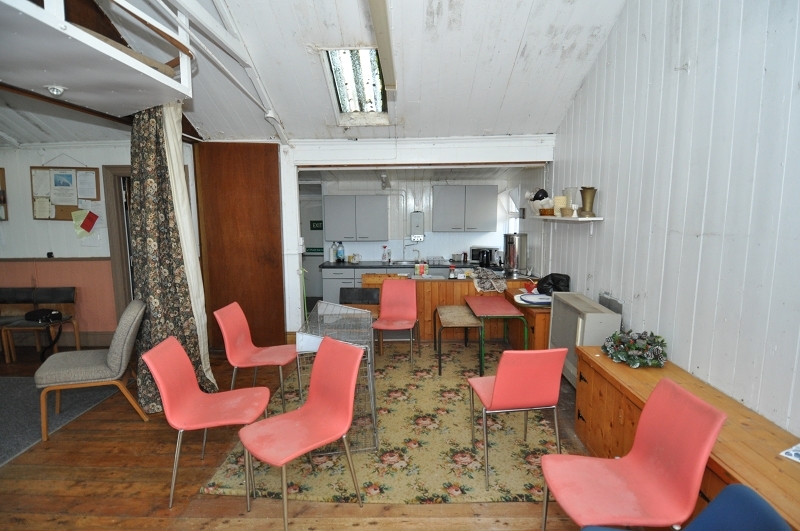 At the rear of the meeting hall lies a stage area with kitchen and a single storey side addition which provides a further meeting area. 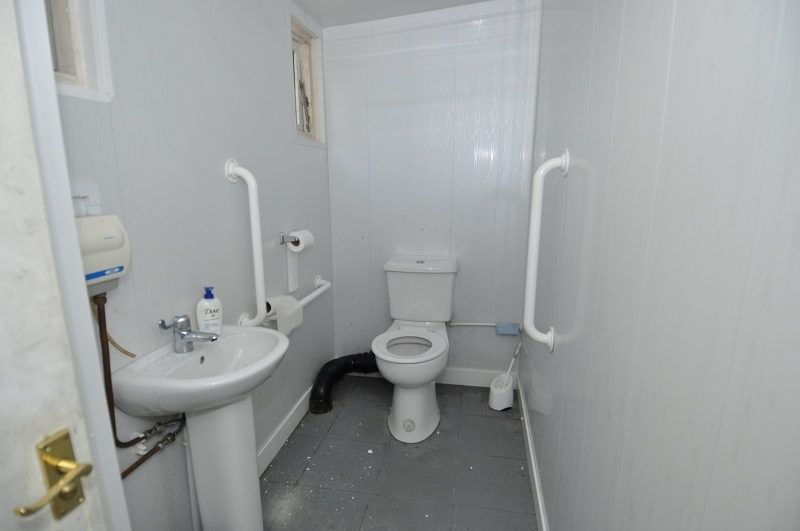 The property has a single WC behind the kitchen area. To the northern side of the building there is a strip of land accessing an enclosed rear area. There are old gas-fired heaters in situ (not tested). The property is surrounded by residential properties. There is a reasonable chance therefore that residential use would be forthcoming for the site - possibly a small flat development or a single dwelling for example. Interested parties should however make their own enquiries of the Local Authority, The Vale of Glamorgan County Borough Council. As it stands, we understand that the property has an existing use for D1 (Non-residential Institutions) purposes. 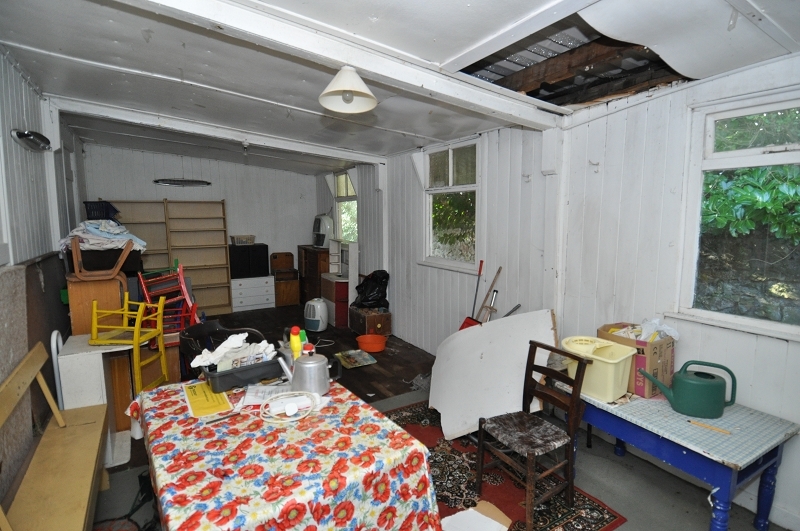 The property is available to purchase on a freehold basis at a guide price of £85,000 (eighty five thousand pounds). The sale will be concluded by way of a Best Bids dated Friday 9 March 2018 at 12pm...full details below. Offers are invited on an unconditional basis (i.e. subject to contract only). o Purchaser - full name and contact details to be provided. o Finance - details of funding arrangements. If a cash purchase is stated, please provide proof of funds. o Timescales - state preferred timescales for an exchange of contracts and subsequent completion. o Conditions - any conditions relevant to the purchase should be stated (i.e. subject to valuation, survey or otherwise). o Solicitors - full name and contact details to be provided. Once received, all offers will be reviewed with the vendor before a decision is made in respect of the preferred bidder. Please note however that our client is under no obligation to accept the highest, or indeed any other bid put forward.